I have a drawing list spreadsheet. This is not the built-in one as that one is currently not functional - but one that I had help making. The drawing numbers are not being reported correctly for sheets which were created by the "Create Duplicate" command. All pages report the original page's number until manually changed. You can see here in the screenshot that many of the all the 400s report as "400" in the drawing list - even though their sheet number is correct in the navigation pallet. Recalculate does not fix - only manually changing Number and then changing back (which is why there is one 400 reporting correctly). Is this a database based approach or a script based approach. Tell us more about how you are generating the worksheet (criteria, functions, script, etc.) and we can probably do more to help. Anything that forces the title block to regenerate will update the information (double click on it to edit, move etc.). @Tom KlaberHi, If you are using VAA Title Blocks you can create it automatically. Not sure which one is not functional?? Go Tools/create report/ dropdown 'Listing objects with records' chooses VAA Title Block and select the heading you want to Add. this will keep uptodate as you change the numbers, you will need to refresh the worksheet. You can change the title block from the worksheet also, pretty cool. If you are using any other title block which contain records they will show up also and you can set them up the same way. Yeah - I can create a report - but there is a "Create Sheet List" command that seems to be broken in 2017. The issue that I am trying to work out is that we are going to have these multiple sets in the same file - so We need to differentiate them for the sheet lists. I thinking I need to add some sort of record to differentiate them. 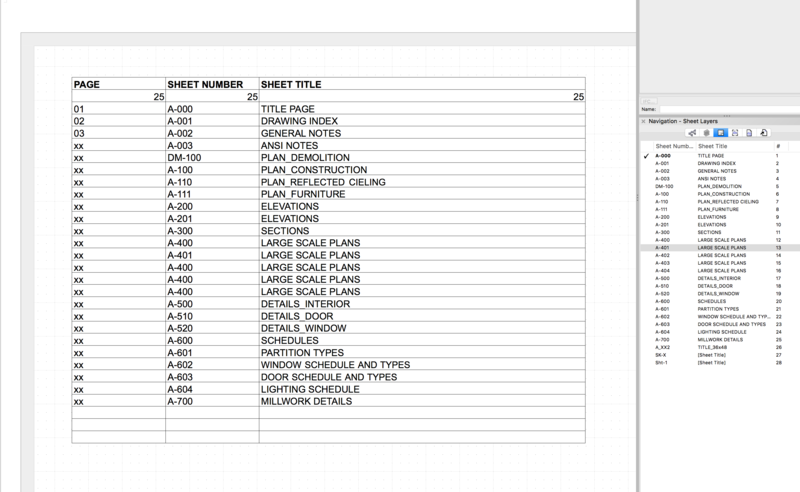 @Tom KlaberTom, it appears the "Create Sheet List" works with the sheet borders and US Arch title blocks. There seems to a few options and i unless there is a good reason to have 2 different ones these could be standardised. 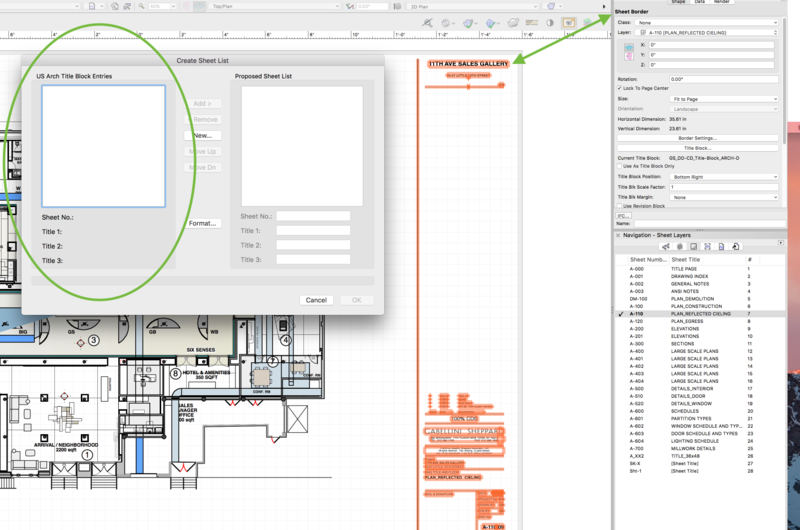 It does not seem to work if you use custom symbols in your sheet borders. You can see here, I have our custom title block as a sheet border object, yet the record format is not being detected by the "Create Sheet List Command"
Confirmed as a bug: VB-135234 Someone filed it before I noticed this, apologies.